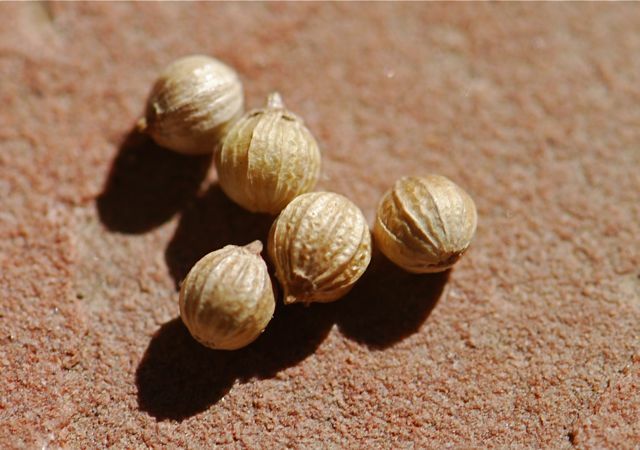 Several of you recognized the seeds of the coriander plant (Coriandrum sativum) as our mystery seeds last week. 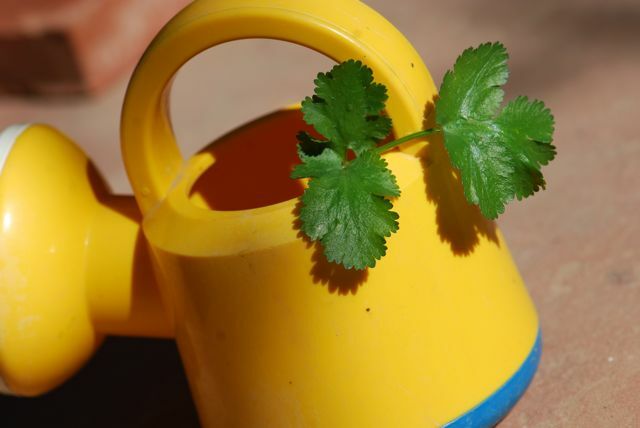 The coriander plant is a bit unusual because it has two names. The green leaves are called cilantro, and the seeds are called coriander. Coriander is an annual that grows readily from seeds. In Arizona we grow it in the winter (this sprig is from my garden). 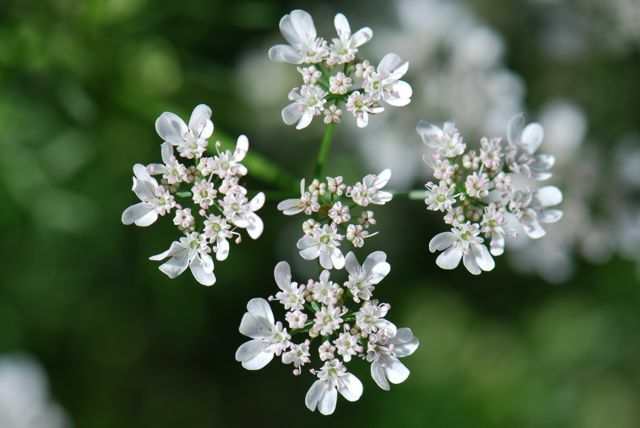 It produces white flowers that are a food source for beneficial insects. Coriander and cilantro are favorites herbs for a a number of cuisines, including Mexican and Indian. It can be used instead of basil to make pesto, or can be used for chutney. We like fresh cilantro in salsa. Some people dislike the taste of cilantro intensely. This article from the New York Times investigates why that might be the case. Do you like cilantro? What about coriander? I love cilantro - that New York Times article was really interesting, especially after just finishing a night walk that included an activity testing kids' senses of smell. No! I hate it! I am one of the chosen that cannot tolerate its soapy, slippery taste.